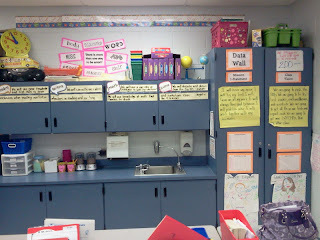 Since my school is a “Balridge School”, two of the things we are required to have are data walls and data notebooks. Last year, I definitely didn’t keep up with this as much as I would have liked, so this year I’ve become proactive! I already created a data binder set that I used last year (TPT TN), but it was very basic. I also wasn’t very good at keeping student work samples throughout the year to assemble a portfolio or keepsake for them at the end of the year. I know, I know, but it WAS my first year, so I get some kind of pass, right? I’ve already decided that it will not fly next year, so I put myself to work and created a document that I think will keep me, and the students, on track. I decided to combine the data journal and portfolio in one binder in an effort to make it more practical for me to use. So, I sat down and started plugging away. 3 days and 90 pages later, I ended up with a document that I am VERY excited to use. Yes, I did say 90 pages. But, these are NOT 90 student pages. The reason it ended up being 90 pages was because I can be a bit indecisive. I created about 2 or 3 title pages for each section and then about 15 extra for anything that I, or anyone else, might want to add. For example, the data section has 3 title pages; “data tracking”, “my data”, and “my scores”. I know this sounds a bit silly, but I like to be consistent with what I call things so the students always know what I’m talking about. I hate having to call something a title that I don’t think fits just because it’s printed on. -25 title pages for each of the sections mentioned above including my common core, my standards, my artwork, my memories, my data tracking, my reflections, my goals, my writing samples, my projects, my letters, my numbers, etc. I decided to just post the text from my user guide since that worked so well and saved me A LOT of time with explaining how my Teacher Organizer was set-up. Please read below for a list of the contents of the pack and ideas for use. Many sections have multiple title pages so you can choose the one that best describes the section for you and fits your needs. –What should I use to hold the portfolios? *Binders are great because they are sturdy and it is easy to add and edit contents. *I prefer to use pronged folders because they are easy to store, yet still gives you the ability to add and edit contents. They are also the cheap option! *Another way to compile a data portfolio is to bind the pages. My school is able to bind pages into student books for us, but this takes a lot of long term planning, since you will not to able to add or remove contents. 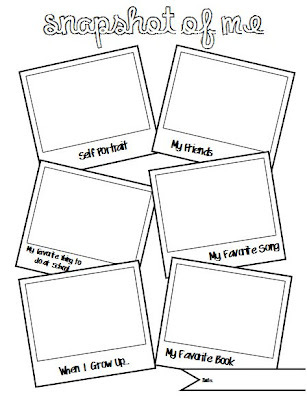 –Journal Covers: There is a journal cover for every grade from Kindergarten to 6th Grade. If you house your data notebook in a binder than this would be great to slide in the front cover. I use pronged folders, so I plan on using spray adhesive to attach this to the front of the folders. I’ve found that coloring in the cover makes a great “busy” activity while you are helping students get settled on the first day. –Table of Contents: This is an optional feature that would be good for people using binders or folders to hold data, to accommodate for the addition of items. I’m not sure yet if I plan to use the table of contents, it seems like it might be tricky to keep up with during the year. I think I will have my students go back at the end of the year and record the table of contents and then just slip it in the front. *Mission/Vision: I have my students record this during the first week of school after we create it together. *Quality Student: This is good for discussing rules at the beginning of the year (See example to learn how my class uses this sheet). *Quality Teacher: This is helpful because it allows the teacher to see what the students consider to be a great teacher. 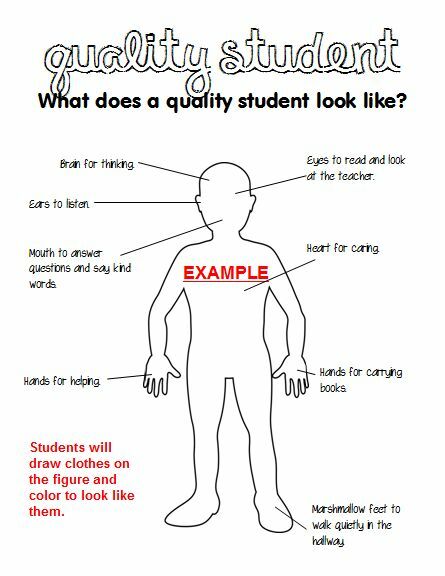 We always share the “Quality People” after students create their own and add their thoughts to a bigger poster that will hang on our data wall all year long. *Handwriting Practice: I included this is both print and cursive for you to choose, depending on your grade level. I have the students write their first and last year at the beginning of every month. –Monthly Writing Samples: Every month, my students pick one writing from their journal to take through the writing process. This self-selected piece gets recorded on the stationary included and then they draw a picture of their story to accompany it. –My Memories: I included this section because I wanted students to be able to keep memories and data in one place. I have found that students can get bored with just data, especially if their data isn’t that hot, but incorporating a personal component really made it more meaningful. *Snapshot of Me: Students complete this page on the first day of school, last week of school, and sometime in January or February. There is no way I can remember to do this monthly, although that would be super cute and the students would love it! Included is a blank template for you to create your own categories. *Me and My Teacher: This is a place for a photo or drawing of just the two of you. Priceless! 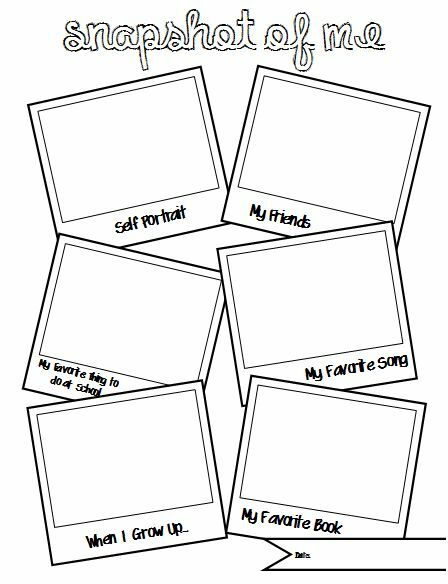 *Picture Pages: My students glue any pictures from the year on these pages. They enjoy drawing and decorating the pages around the pictures. I included sheets that do and don’t have space for captions for you to choose from. *Autographs: There are always students who can’t or don’t buy yearbooks. Giving them a page to get signed at the end of the year when everyone else is getting yearbooks signed means a lot. It is even cooler that it will be one of the last components to their year-long portfolio. –My Goals: This section has a couple sheets to choose from for goal setting and a sheet for goal reflection. 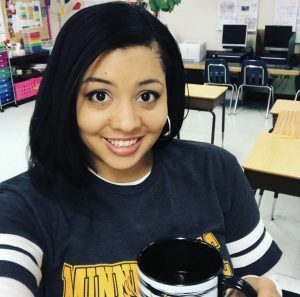 I usually have my students set goals at the beginning of each quarter and reflect on them at the end of the quarter. I try to remember to have them check-in on their goals throughout the period. It is helpful to have certain students make short-term goals and conference with them about their progress. –My Reflections: Included are two types of reflections for you to choose from. I like to have these handy for conferences because they really do have an impact. I try to have my students do this at least 4 times throughout the year. –Title Pages: I realize every teacher, school, and district are different. I have included every type of title page I could think of that would fit in a data notebook or yearly portfolio. What you stick behind the title page is up to you, I just thought I would include them for convenience. Below are just some of the pages from the layout. You can see more by downloading the preview or going to TPT or TN. At my school, we are required to have some sort of data or self-smart notebook. I have found that parents really like knowing that you are on top of their child’s progress. The reflection sheets, data charts, and portfolio as a whole come in really handy during conferences. This is especially true if you are having student-led conferences. Let me know if you use data notebooks or compile portfolios and what that looks like. Wow this looks absolutely amazing!! I'm definitely going to check this out!